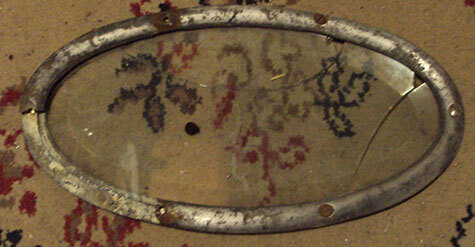 Can anyone identify which auto this oval window came from? 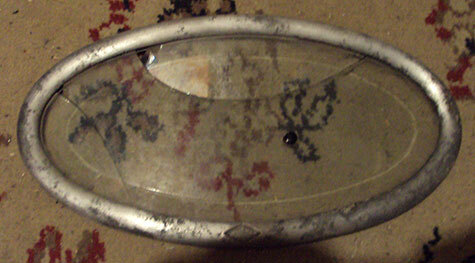 The picture shows the width and it is 10 5/8 inches the other direction. It looks like chrome on one side with black paint on the other with 8 black screw holes. Was there supposed to be a pic? Be aware that pictures need to be resized to under 194K to fit on the forum. A resolution of 150 dots per inch and a width of 6 inches works well. I can't tell from the photo. But most of those rear window/lights were not very brand specific. 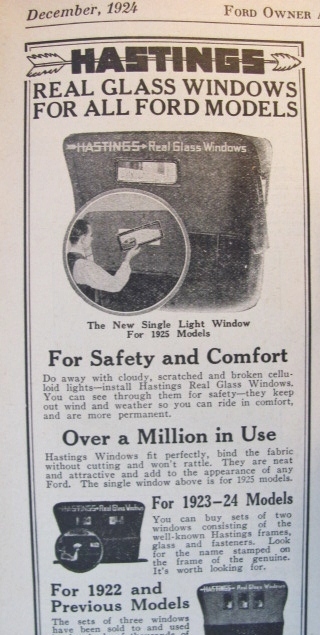 Ford never used the framed glass lights on the model T. However, many other automobile manufacturers did. Even there, they varied greatly in specific size and shape across the couple decades they were used. 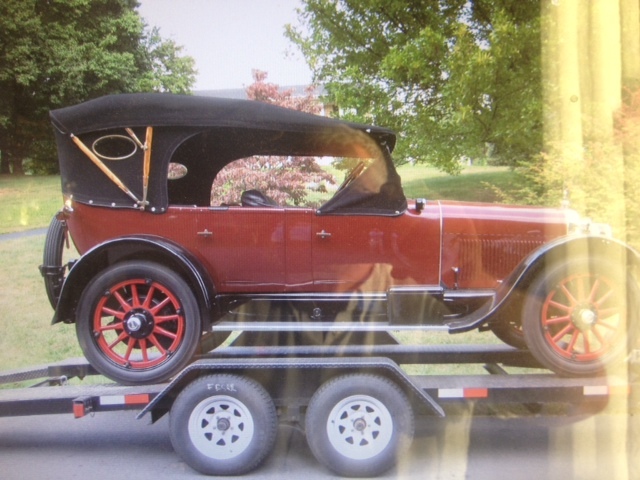 Most of them were also available after-market, and you can find quite a lot of original era photos of model Ts with the framed glass windows, in both square and oval shapes and a variety of sizes. Such lights were used as either singles or multiples (usually only two, but I have seen more). Multiples usually used smaller lights than singles. At more than ten inches wide, it could be used as a single, or possibly as part of a pair (especially on a larger car). There were a few window/lights that were marque specific. Most notably by the Chandler Automobile. 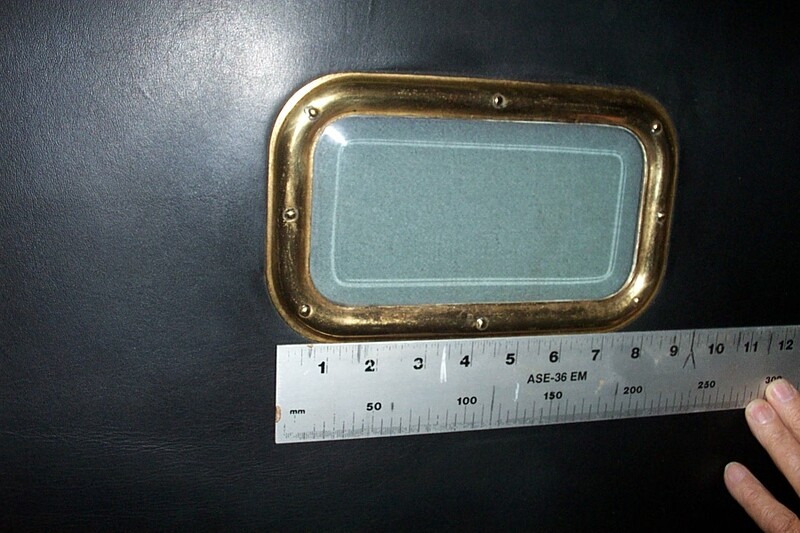 A good friend of mine has one with the correct Chandler framed glass in the rear of the top. I tried a quick goggle search, but did not find a good picture that really showed the rear of a touring or roadster top. Theirs has a sort-of "bow-tie" look to it (but nothing like the Ch##y bow-tie). The Yellowstone buses used 4. Nice work on the top David. I hadn't seen them as side windows. Available for any top covering of the day, as shown in this accessory parts catalog. 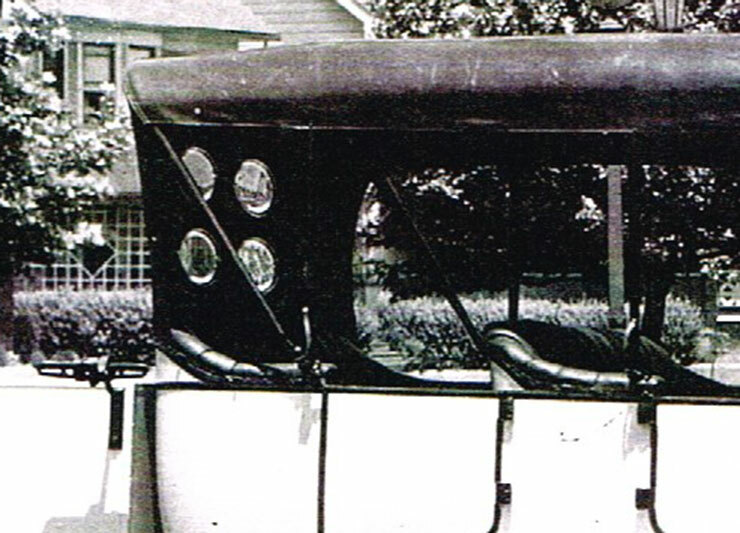 The little Ford only used celluloid windows, and more impressive cars used glass, so upgrades to glass rear windows in the back curtain were common. Ive seen a Paco speedster that had one just like that on the top. Here is a set of 4 x 6" that use bend over tabs to hold them into the top. 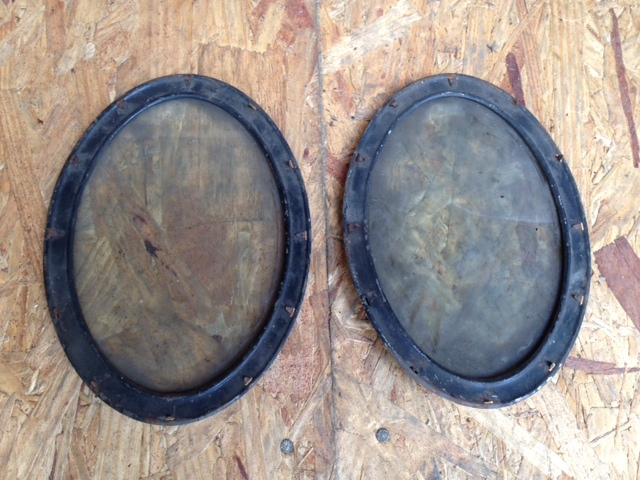 Anyone know where can these kind of oval beveled windows be found to buy? Use to see these at swap meets in junk boxes full of this and that. These are items you keep and wonder if anybody would buy them. Don't know if there would be enough interest to reproduce them. Not sure. It's one of those things that is always around until you need one. I had two of them for years and was looking for another two to match for my bus. 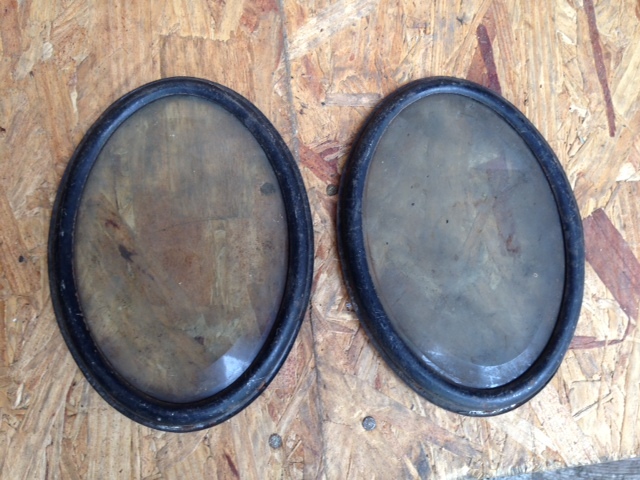 Eventually I put them in a top for a friends Studebaker. Later I found two more. It would be fun to set up to bevel glass for these and side lamp glass but probably would not be profitable for the small demand. Still, it would be nice if there was something better than E-bay to get the non-Ford stuff we all have to folks who can use it. I always love it when someone asks an intelligent question on this extremely helpful Forum thus causing tremendous response and a myriad of answers but the original questioner never responds. But the thread content is always a learning experience for me. The early Town Cars for instance.